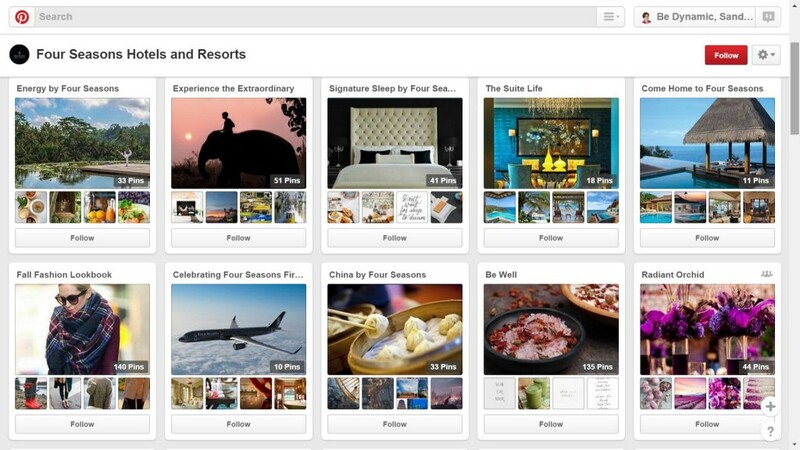 If you sell or market a visual product, Pinterest is the perfect platform for you. With over 70million users, it’s one of the top 5 platforms for driving quality traffic to websites. And with over 70% of the users being female, this makes it a fantastic way to reach your female customer base. 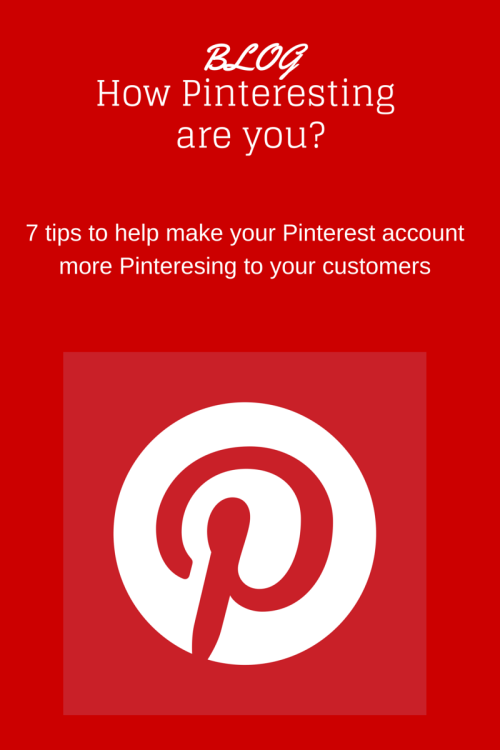 So what is Pinterest and how can we start using Pinterest …I hear you ask? Well it’s an image or photo-based social media site where you can create a personal or business page and in that page you can create boards where you add pins (images). As it is a visual platform, it’s important that the pins are good quality. Like all social media platforms, it’s not all about your own content, it’s about sharing and engaging with others. 1. Complete your account profile – ensure that you include a profile image and connect (and verify) your website. It is important, like with any other social media account, that people know who you are and why they should connect with you. Let them know in your bio description what you will be sharing. Try have some consistency across all your social media platforms in the profile image you use to build recognition. Include all relevant detail and most importantly include your website address. You will be asked to verify your website address, to do this just add the code they give you to your website (Pinterest provides details) and when the code has been installed come back to Pinterest and click the verify button. See how they tell you what to expect from them and their website link is verified. It’s important that you embrace Pinterest and work at it. Be active. That means pinning images daily. Do not be selfish, it is not all about you. Engage with others by liking images, commenting, sharing them across other social channels and more importantly repinning images. Use other boards and pinners images in your boards to complement your products. Think about your customers and how they would like the information displayed. For example, if you are an online clothing retailer, consider creating boards around colours, seasons or styles. Think of themes and name your boards so it is easy for search engines like Google to return your boards in their search results. 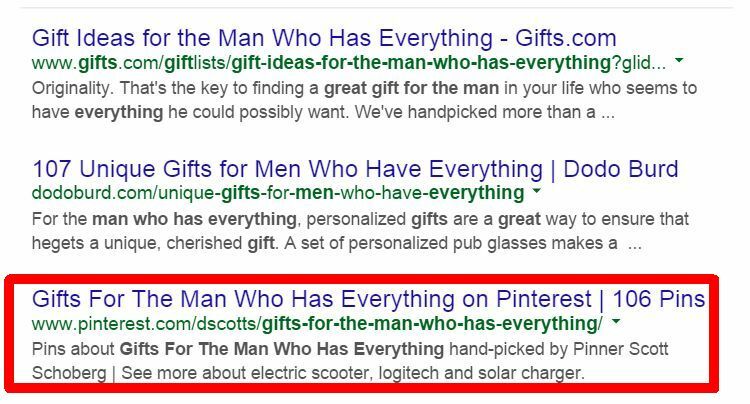 See how two Pinterest boards show up in this search results. Every time someone pins an image from your site, the image will link back to your website which will drive relevant traffic. A large percentage of activity on Pinterest is community-driven so you can facilitate this by making your website images pinnable. 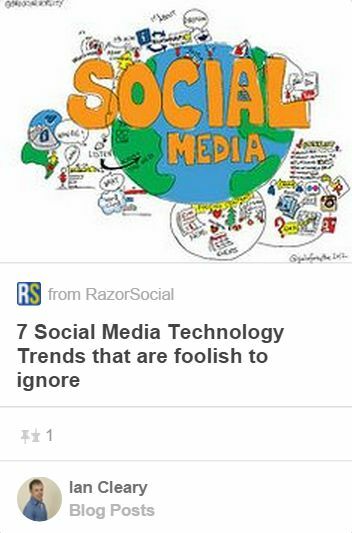 Some reports show that vertical images have more of an impact and get better engagement. But you must ensure the ratio is correct. Make sure you don’t have the image too narrow. 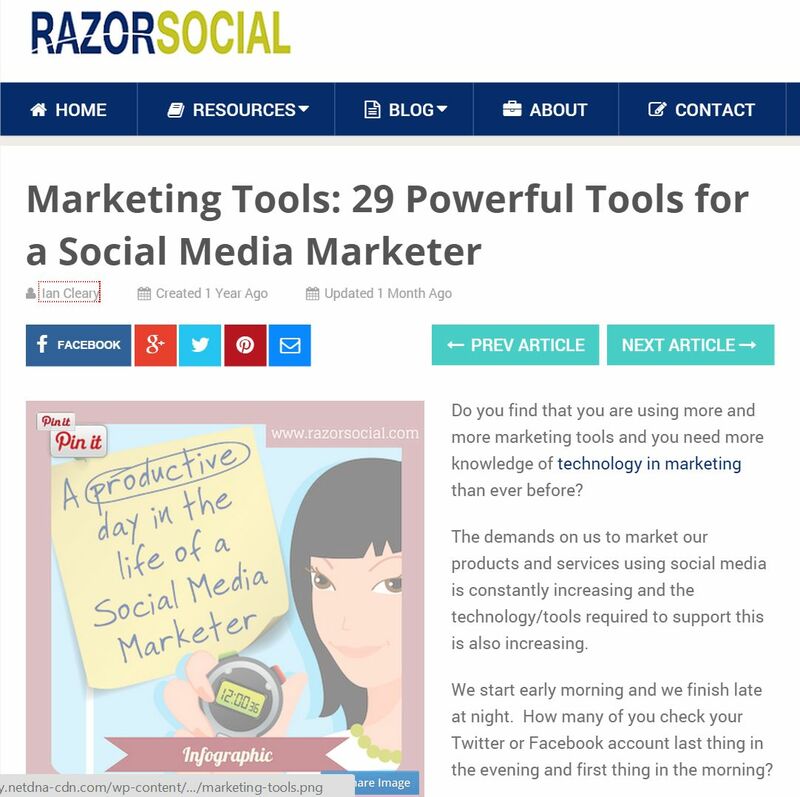 See how this website creates images for their blog that not only include good visuals but also includes the name of the article and when you hover over it you can easily see the PinIt button. Ensure your website visitors can pin your images with easy. 5. Use images with multiple colours that inspire your customers . Some reports* show that images that use multiple colours get repinned the most and that red, orange and brown images are more likely to be repinned than blue images. This does not mean that you have to rush out and start creating images that include those colours or that you ensure all your images include all of those colours . It is worth analysing your image activity to see if there is any particular style or colours that are getting attention and increased engagement levels. It may well be that your orange and brown images get more pins but it is worth testing because everyone’s market is different. Share images that inspire your customers. To inspire means to “fill someone with the urge or ability to do or feel something, especially to do something creative” (source Google search) To stimulate, motivate, to persuade and encourage. Ask your self will your images inspire (stimulate, motivate, to persuade and encourage) your customers to do something? 6. Include a caption/description but keep it short. Ensure all your images include a good caption/description. Think of what will appeal to people. What will help them to make a decision to share it? 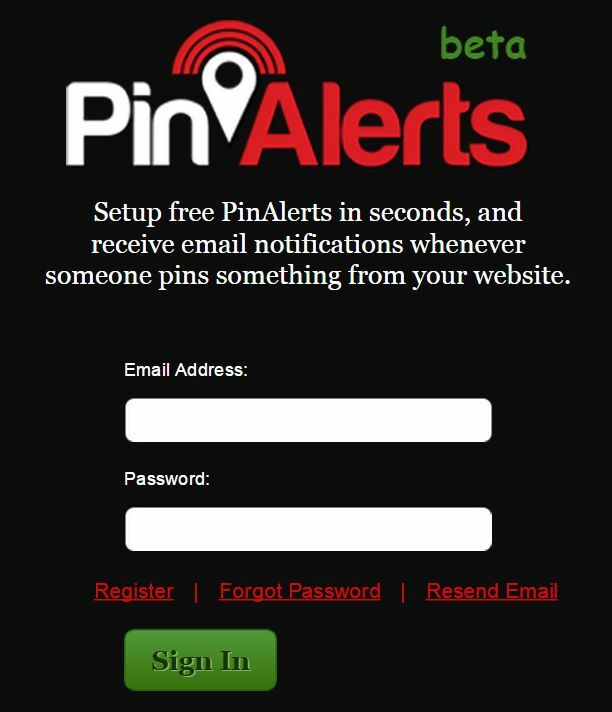 You must make it easy to read and remember that this makes it easier for your pins to be found when searched for, and also allows users to know what the pin about. Also consider adding a call to action. Consider using capitals in the first letter of each pin e.g. Apple Pie Recipe With Custard. Include your opinion in the description (especially when repining other pins) e.g. Apple Pie Recipe with Custard – fantastic eaten hot on a cold winder evening. Include a good but short caption. 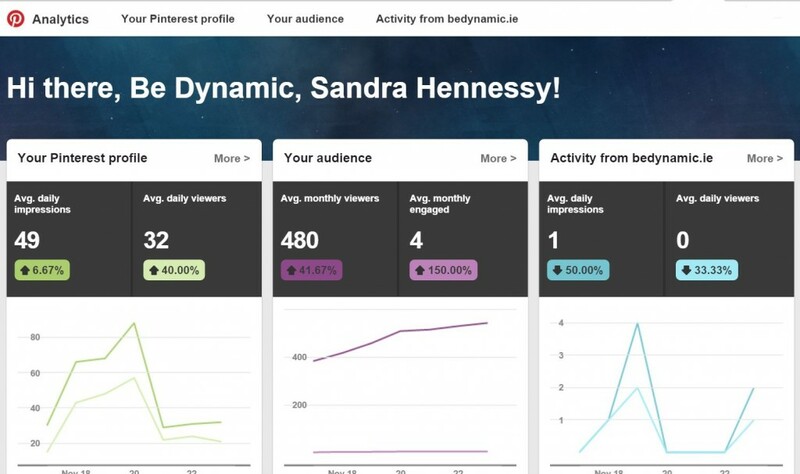 It is important that you analyse your Pinterest activity on a regular basis. We recommend a minimum of once a month. Pinterest works on the same principle as any Social Media network but like every other network, you need to work at it to make it work for you. When you focus on using Social Media as just another ecommerce platform, it might not do the business for you. But if you use Pinterest to share and connect with others, and to engage with your customers and contacts, you’ll reap the reward. Just remember the Golden Rule…Make it pinteresting…. Want to know when somone pins something from your website without having to go into Pinterest analytics? This is the tool for you. 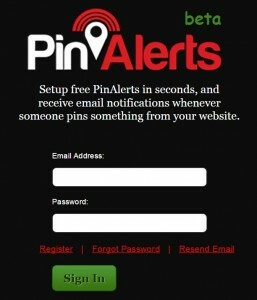 Pinalerts.com is easy peasy to set up and you get emails to notify you when someone pins an image from your website. We all know that a lot of social media activity happens outside of office hours. We also know how important that work life balance is. ViralTag is a great platform for scheduling your pins so they reach the right people at the right time. The good news is that it also works with your other social networks like Facebook and Twitter . Remember. If you are publishing out of hours someone needs to be monitoring. Pinterest is all about the visual impact. So how do you create amazing graphics that have the right impact and don’t cost the earth. 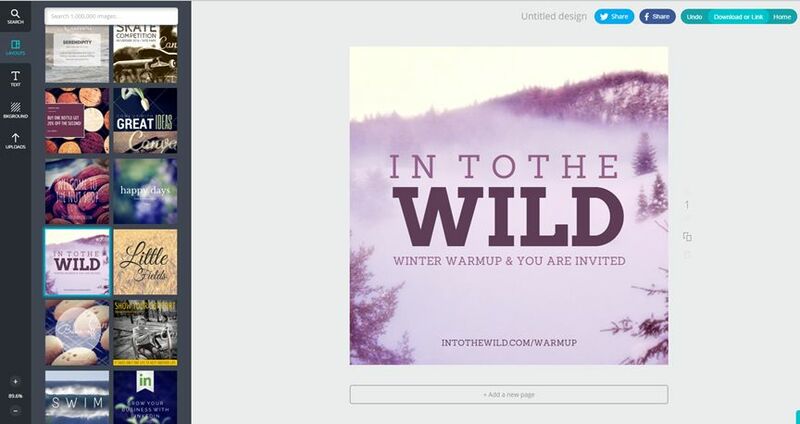 Canva.com is another really easy tool where you can create amazing graphics in minutes. Paid images only cost $1 – yes you heard me. Only $1. Are there any tools I have missed? Do you use any Pinterest tools that we should be aware of? Just pop it in the comments below.